Gurgaon is a city in India, where many private housing enclaves are located and run by private management companies. With no municipal services, the private management companies provide key urban facilities only within the gates of the enclaves. A patchwork of private services emerges, but only within property lines. “If you’re living inside the development, everything looks great. It looks like you have functional sewage, but those lines are not connected to a main line. They go nowhere.” Instead, the sewage collects in a septic tank at the edge of the property. The building’s owner contracts a tanker truck to ferry the sewage to a dumping ground or river. Another controversial topic regarding this developments is their relationship with surrounding slum areas. What we see here is double exploitation of the urban space: on one hand, exclusive private provision of municipal services is hampering public provision; on the other hand, the enclaves expulse their unwanted bits to the surroundings such as dumping their sewage on public land. All in all, we should ask ourselves, if we want to live in such an unsustainable dystopia before it is too late. Because this is what we are heading towards with a speed of light in this level of the commodification of urban space. High Rise (2016) – Ever wanted something more? The movie is based on J.G. Ballard’s novel written in the 1970s. However, considering the housing situation, condo developments, branded housing projects, housing enclaves, and various forms of exclusionary housing, it is very much about contemporary urban issues. High-Rise is a 2015 British science fiction action thriller film directed by Ben Wheatley, starring Tom Hiddleston, Jeremy Irons, Sienna Miller, Luke Evans, Elisabeth Moss, James Purefoy and Keeley Hawes. The screenplay by Amy Jump is based on the 1975 novel of the same name by J.G. Ballard. It was produced by Jeremy Thomas through his production company Recorded Picture Company. In September 2015, the film received its world premiere at the Toronto International Film Festival, and its European premiere at the 63rd San Sebastián Film Festival. The film is scheduled to be released in the United Kingdom on 18 March 2016 by StudioCanal. Check amazing trailers out! I absolutely love that they shot the first trailer as a housing project advertisement. The talk questions the relationship of branded housing projects as an emerging type of urban development and the develeping illiberal mode of production of space in Turkey since early 2000s. It is taken place in scope of The First European Symposium on Turkey-Symposium on Populism, Majoritarianism and Crises of Liberal Democracy, The Consortium of European Symposia on Turkey, Graz, Austria (October 1-3). For the symposium program click here. Theming urban space is an issue for decades, it is nothing new in that sense. 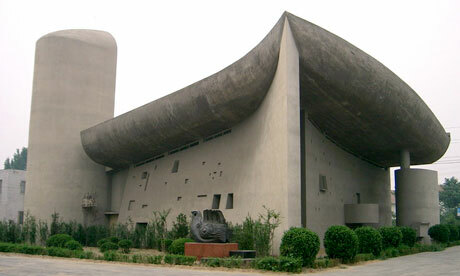 However, something about its scale is happening in China: the Clone Cities. No, it is nothing to do with clone wars! 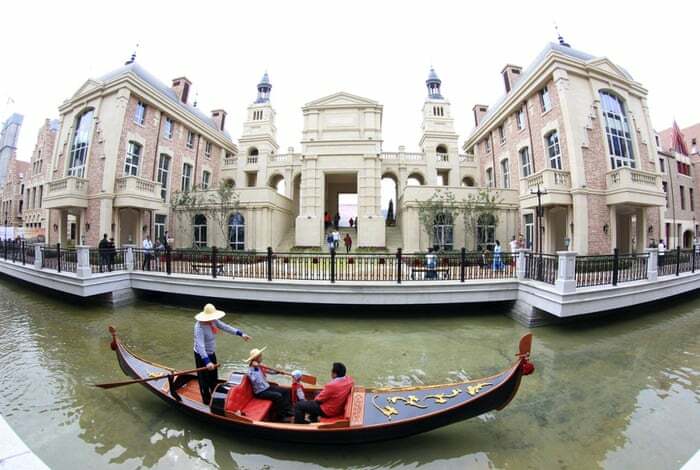 The copycat city in north-eastern Liaoning province is just the latest example of China’s fondness for replicating Europe’s greatest architectural hits Check the here for galery! 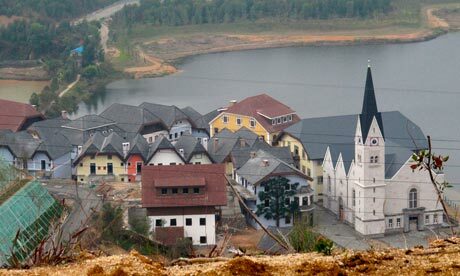 Another example is Hallstatt in Guangdong, replica of Australian town. When it was reported last year that the ­Austrian town had been “secretly cloned”, right down to its statues of angels, some ­residents were outraged. But the mayor, ­Alexander Scheutz, was over the moon. 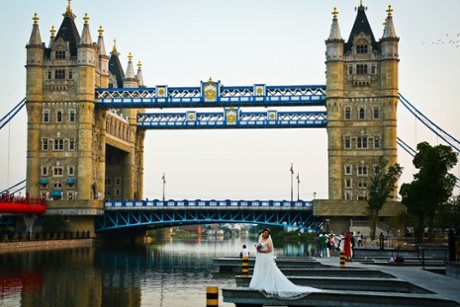 “We are very proud,” he said, as he signed up to a cultural ­exchange with his town’s new twin. It is now clear why: the clone has been a lucrative means of cultural ­promotion, with the number of ­Chinese visitors to the real Hallstatt jumping from 50 to 1,000 per year. For the full story check here! 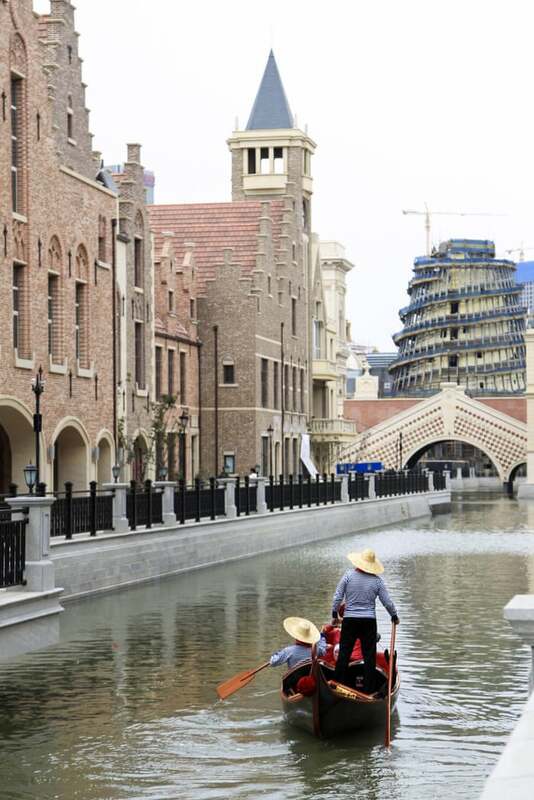 Or if you would like to see world of wonders in one city without traveling around, check Chinese city of Suzhou, the city of clone landmarks! Check here for the full story! As a bonus, you can even find Corbu around! According to Voigtlaender, the results shows “strong evidence for changes in voting behavior in one of the most salient examples of infrastructure spending”(cityLab). The analysis presents quite a picture of the relationship of consent building for authoritarianism via construction and infrastructure spending. However, the authors also conclude that the positive image of this spending is a constructed illusion. For a contemporary example of for such relationship check Turkey case. 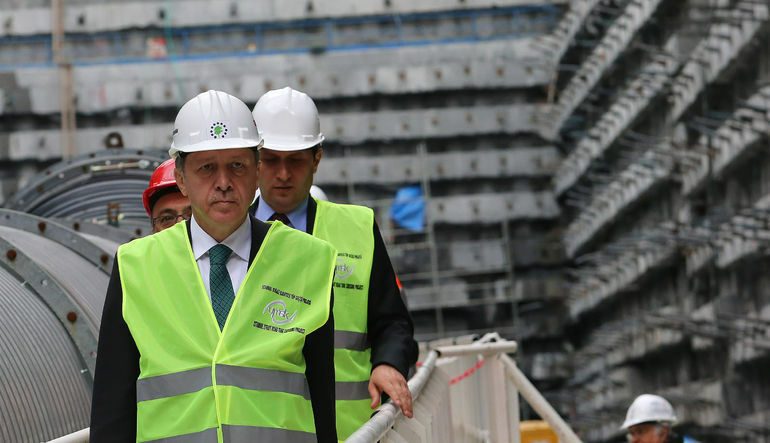 Turkey has been going through a rise of an authoritarian regime and construction boom since the early 2000s. Building an extensive road network is one of the main points of the propaganda of AKP governments. Bayraktar’s statement, former Ministry of Urbanism, below shows the emphasis on the roads and road network and its usage in propaganda. The determination of the government to build roads and empty houses of TOKI can be read in relation to the case of Hitler.